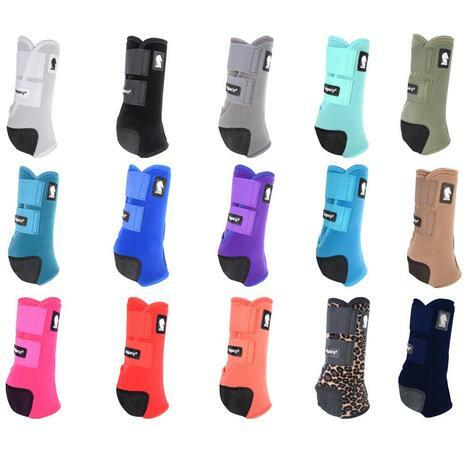 These uniquely designed bell boots give your horse protection and style. Constructed of 2520 denier DynoHyde material with a dense shock absorbing center and soft jersey lining. Superb protection, durability and comfort. 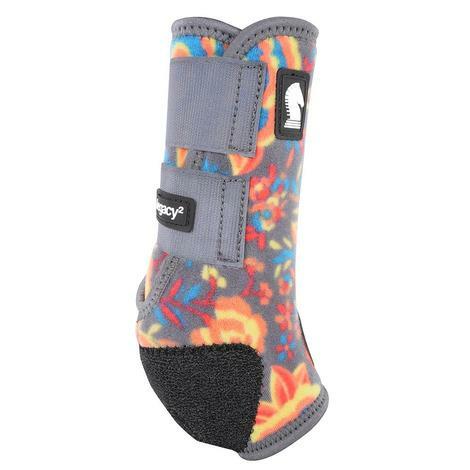 The Legacy2 Protective Sport Boot (Hind) from Classic Equine in Wildflower Print is made of 100% virgin perforated neoprene. Features a stitched hook-and-loop attachment w/ aggressive closure, shock absorbing splint pad, and a refined splint pad guard. A suspensory rib position between the tendon and cannon bone ensures proper boot alignment. Bound edges aid in keeping dirt/debris out. Available in many different colors and patterns. 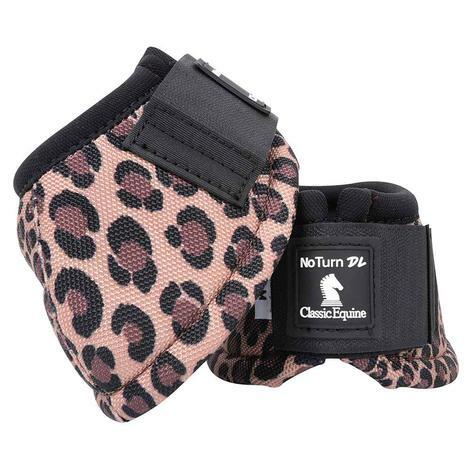 Professional Choice VenTech Elite offers a 4-pack of their sports medicine boots in Cheetah print and Rodeo Print. Protective boots for all four legs in one pack, serving to protect and aid in energy absorption with minimal effects on the gait. Prevents lower limb injuries in training and performance. 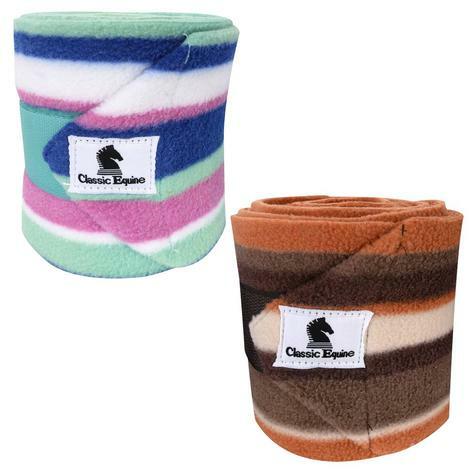 Made of 380 gram fleece, heavier and longer lasting than any competitor. Wider than other polos, Classic Equine polos provide more protection and save time and effort. 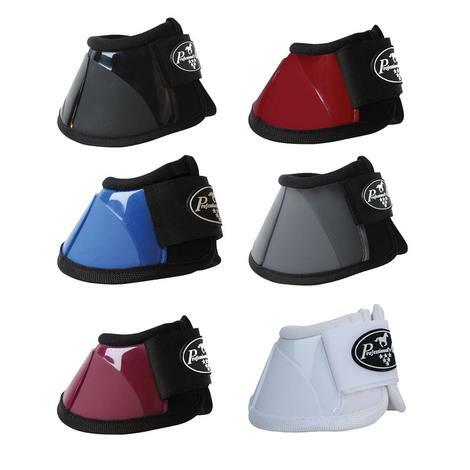 This bell boot has unique individual designs on a tough DynoHyde shell. It has a shock absorbing center. Other features include a soft nylon lining and double hook-and-loop closure. The Spartan Bell Boots from Professional Choice features a high quality TPU shell that is flexible and protects against impact. Available in medium and large sizes. 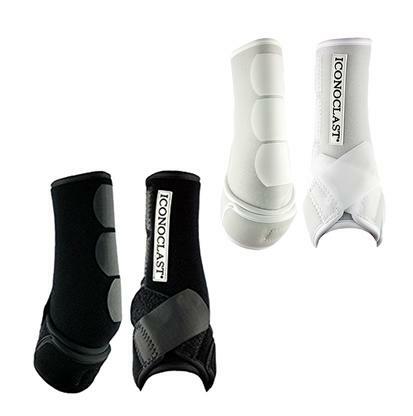 Shock absorbing foam lines the skid cups and the tendon pads. The heavy-duty leather is oil tanned. Two inch straps are leather and elastic. This combines with the hook and loop closure to provide a proper fit. The fetlock is protected during hard stops, abrupt stops, and slides. 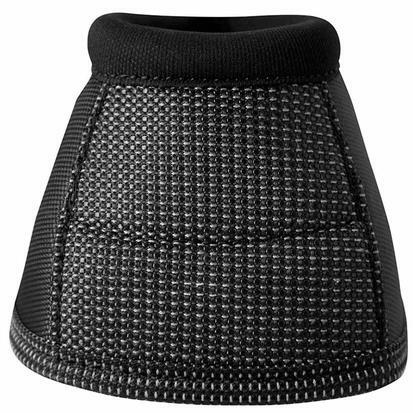 The Legacy2 Protective Sport Boot (Tall Hind) from Classic Equine is made of 100% virgin perforated neoprene. Features a stitched hook-and-loop attachment w/ aggressive closure, shock absorbing splint pad, and a refined splint pad guard. A suspensory rib position between the tendon and cannon bone ensures proper boot alignment. Bound edges aid in keeping dirt/debris out. Available in many different colors and patterns. 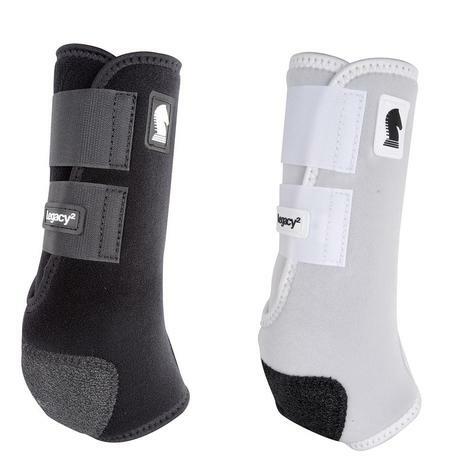 The Legacy2 Protective Sport Boot (Hind) from Classic Equine is made of 100% virgin perforated neoprene. Features a stitched hook-and-loop attachment w/ aggressive closure, shock absorbing splint pad, and a refined splint pad guard. A suspensory rib position between the tendon and cannon bone ensures proper boot alignment. Bound edges aid in keeping dirt/debris out. Available in many different colors and patterns. 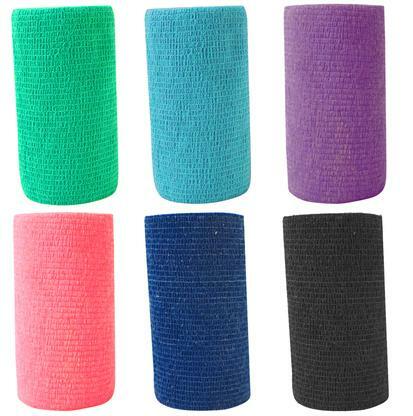 This bandage is made of a four way stretch polo wrap attached to an elastic bandage. This combination is easy to apply and washable for continued use. Great for use as a workout wrap. Working recovery boot for horse’s that have injured or strained the soft tissue of the lower leg. This rehabilitation boot uses the double sling strap to support the fetlock plus a patented orthopedic wedge to increase lift and support. 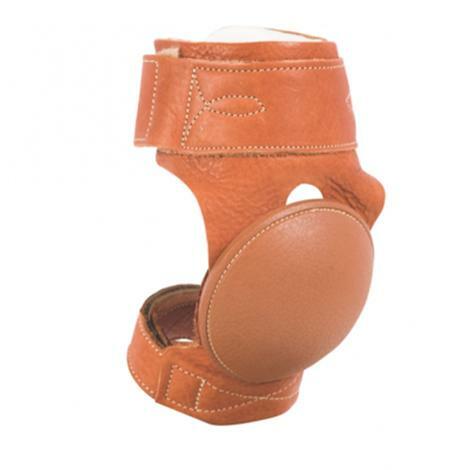 The ergonomically designed orthopedic wedge is positioned at the back of the fetlock joint and the first phalanx. 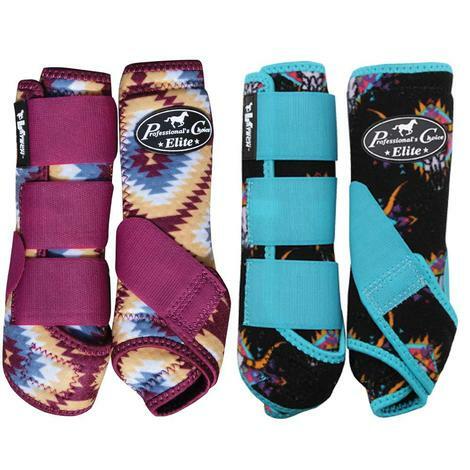 This provides extra lift and vertical support to assist and speed your horse’s recovery. 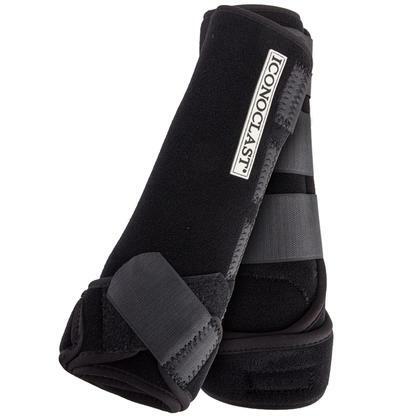 The Iconoclast extra tall orthopedic sport boot cradles and lifts the fetlock while providing support to the top of the upper suspensory ligament. This boot contours to the hind lower legs. The patented double sling straps provide lateral support to the sesamoidal region. 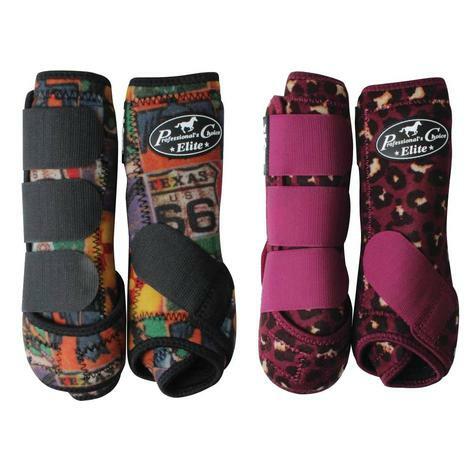 Four additional upper straps provide support all the way to just below the hock joint. 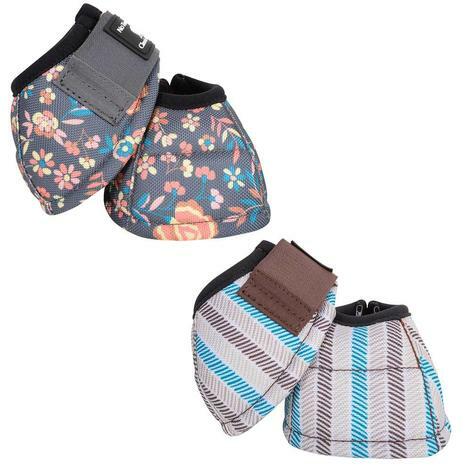 This combination provides balanced, nonrestrictive support to the lower leg and the vertically moving tissues of the equine leg. 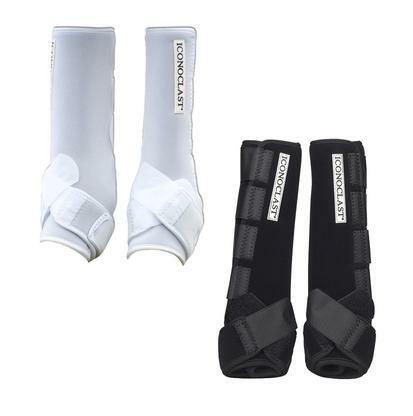 The Iconoclast extra tall orthopedic sport boot provides balanced support that protects your horse against soft tissue damage and hyperextension. 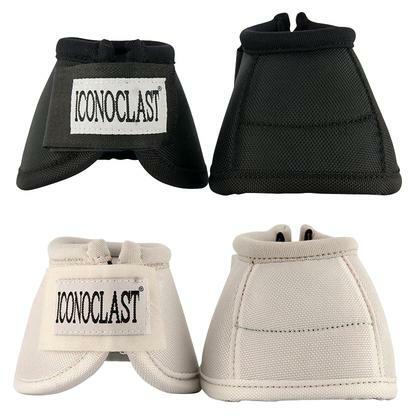 Give your horse overreach and shoe protection with the Iconoclast bell boot. This bell boot is designed to stay in place and avoid rotation. The stabilizing bar rests gently on the heel bulb making this a no-turn boot. These bell boots are made from the same quality materials as the Iconoclast orthopedic and rehabilitation boots. 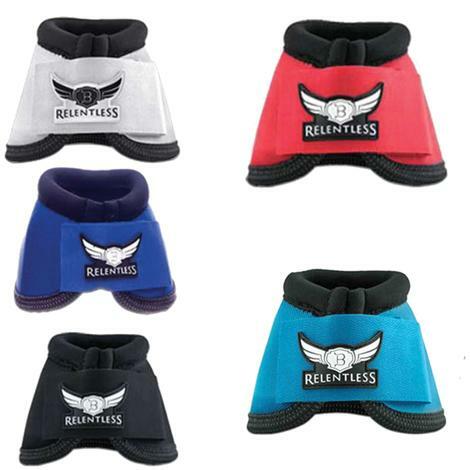 Get overreach protection with the Strikeforce bell boot from the Relentless Collection. This bell boot is made from 2520 denier ballistic nylon and has reinforced bottom binding. This design helps reduce rebound. Angled hoop and loop closure follows the contour of the boot for a more secure fit. This boot is designed to maintain proper position because of the interior heel bulb. The over reach panel is made of four way stretch Kevlar and double layered foam. This deflects concussion and absorbs impact shock. An interior foam layer protects your horse from crossover injuries. The taller top cuff protects a larger area and helps you get a more precise fit.